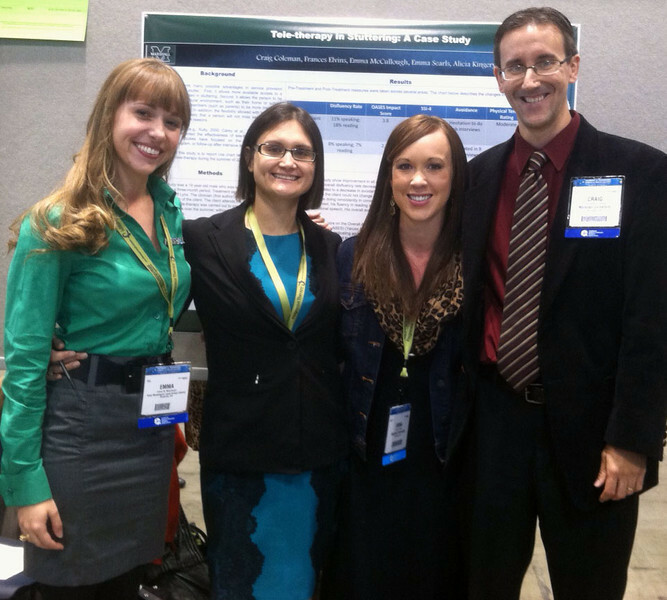 Graduate students Emma McCullough, Frances Elvins and Emma Searls stand with Professor Craig Coleman during the 2013 ASHA Convention. This group served as a research team studying tele-therapy and the effects on a 19-year-old who stutters. There were a total of 37 students from Marshall University who presented research at the convention this year.